In this April 18, 2018, file photo, HUD Secretary Ben Carson testifies before the Transportation, Housing and Urban Development, and Related Agencies Subcommittee on Capitol Hill in Washington, DC. House Democrats are using their new oversight authority to investigate the Department of Housing and Urban Development’s management of the shutdown, as questions mount about HUD's failure to renew low-income housing contracts for more than 1,000 properties across the country, NBC News reported. "HUD knew for months about this impending deadline to renew the contracts, but for some reason they failed to take proper action in advance of the shutdown," said Rep. David Price, D-N.C., the incoming chairman of the House appropriations subcommittee on transportation and housing, in a statement. "I am seeking detailed explanations from HUD officials about this failure and how they will mitigate the consequences, and I will call a hearing if necessary." 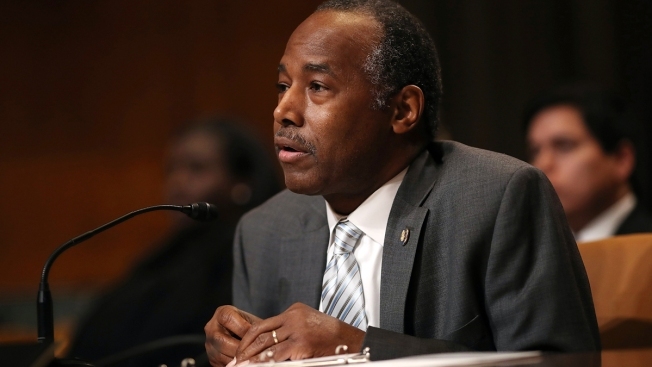 HUD told NBC News on Monday that about 1,150 contracts under a Section 8 program known as Project-Based Rental Assistance had lapsed. The program subsidizes rent and utilities for 1.2 million households, including families with young children, the elderly and the disabled.